I have in stock, one of the world's highest quality HID kits on the market today: Kaixen HID kits. HID's isn't just for looks. It's looks and function as well, as it lights up the road ahead of you 3X more than any halogen bulb can. Most Evo's takes 9006 application, and some cars already have the projectors lenses in place. 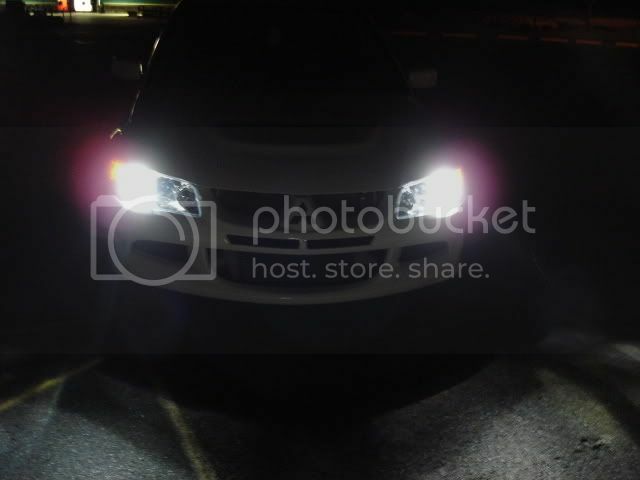 Your car is designed for HID lighting, and will have a very good result (and cut off). There's really no comparision when it comes to quality. Keep in mind guys, not all HID's are made of same quality. Not all cars are made of the same quality or even electronics..
and HID's are of no exception. You bought a high quality car, why put in a cheap quality component and lower the value of your car - nevermind the headaches you will get from it with failed components, bad wire connections, faulty ballasts, color fading bulbs. If you want something that's not in stock, you can order as well at the same price. However, it takes up to 3 weeks for delivery. 8500K = Crystal blue (for indoor shows or looks mostly.) Has least visibility. 3500K = JDM yellow is available for fog light applications on special order. Add $20 for this for special coating done in Japan. Please confirm with me first about the availability, as in-stock items may go very fast. Last edited by autodoodad.com; Dec 7, 2006 at 08:43 AM. Just seeing if these are still available. I bought a Kaixen Kit for my other car about 2 years ago and they still look phenominal..bright and crisp LUV this product. YES, they are still available I have many in stock right now. EVO HID models in stock. I currently have the stock HID setup. Will these project farther? 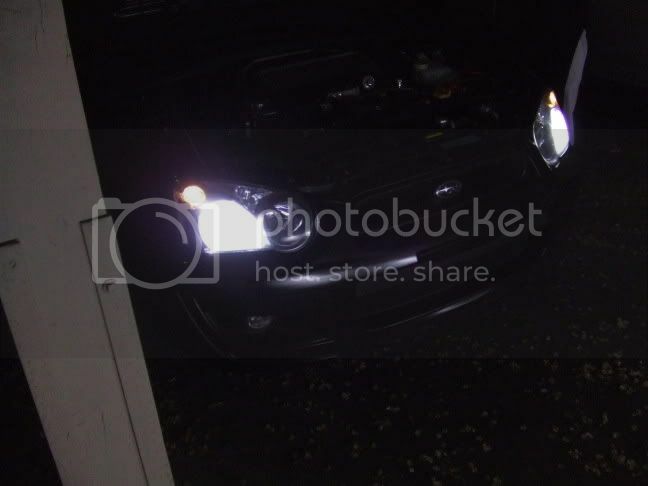 I dont think the stock light project far enough. If you have the OEM 4300K HID's from the factory, these should project quite far and bright. In your profile it says you have a 2005 which is only 1-2 years old so your brightness shouldn't have faded yet. You could try aligning them higher (without blinding anyone). Do you have this kit in the 4300K model? I do not have the 4300K's in stock right now but they are on there way, should't take that long, I do have the 5000K & 6000K in stock now. Yes we sell just the bulbs they are $150 + $10 shipping. Do u have pics of the 8500k??? I want 2 see how it looks and visibility wise you say is not great????? Do u guys make 8000k??? ?